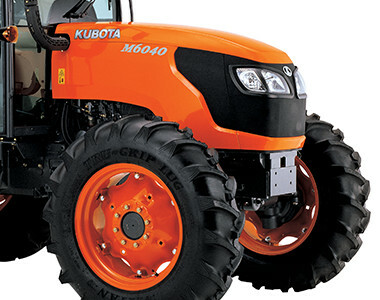 The Kubota M6040DHC features a 62HP E-CDIS engine, offering more durability, power and fuel efficiency than other models in its class. 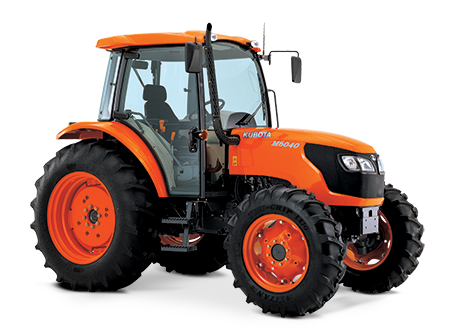 The CAB model is equipped with hydraulic shuttle shift to make forward and reverse manoeuvers quick and smooth. Standard specification includes Creep Speed and Autohitch plus a fully air conditioned cab for outstanding operator comfort. 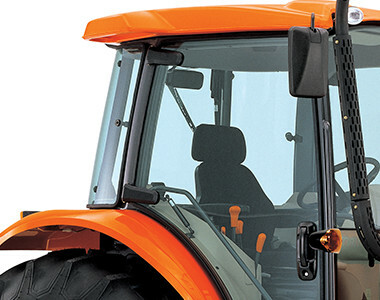 Optional LA854 Kubota front end loader offers increased lifting power that’s perfect for farm use, and a fully integrated design with slanted boom to match the tractor’s hood. 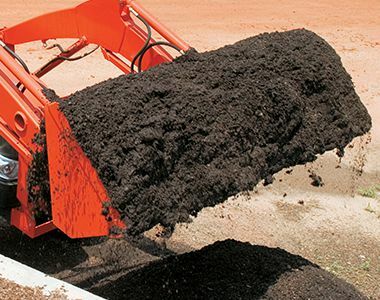 This sleek design also increases visibility and clearer sight lines to the bucket and loader sides. Keep the bucket level to the ground with the optional Kubota QVX26 Mechanical Self Level Loader.